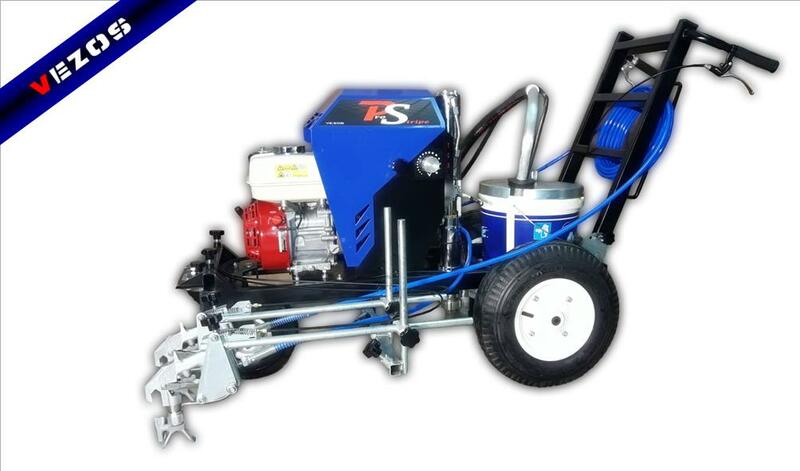 Line Striper ProStripe 200 is contractor’s initial choice for parking lots & local roads striping. 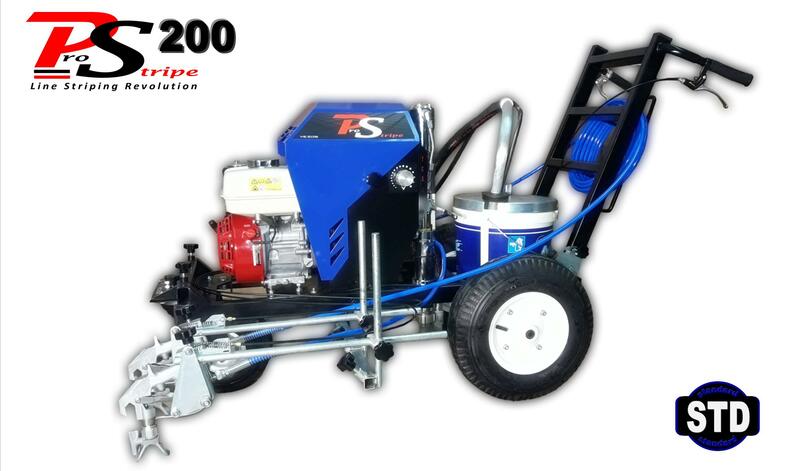 Equipped with VEZOS powerful slow stroke hydraulic pump, working at 240 bar pressure & an 6.5 lit/min flow, the ProStripe 200 offers hydraulic power in every aspect. 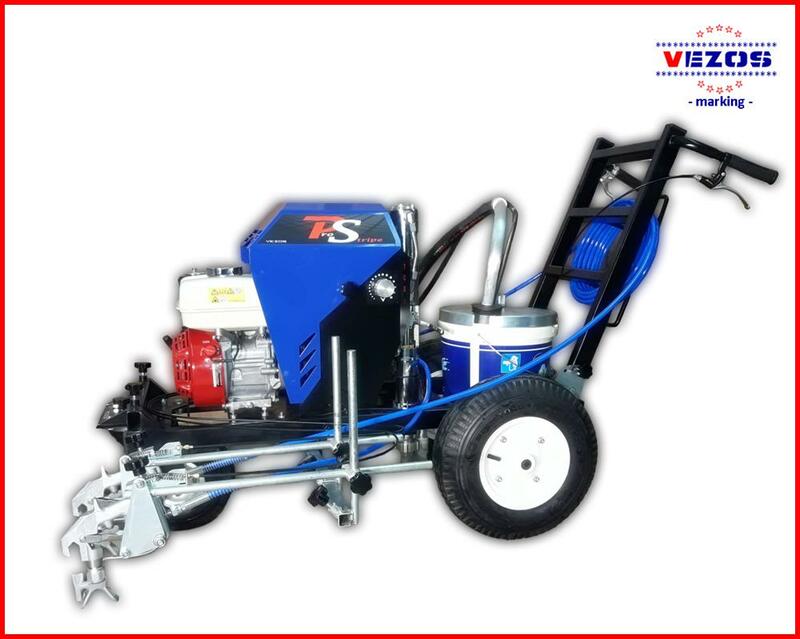 VEZOS ProStripe 200 has a unique foldable chassis, allowing this line striper to be easily transported in any vehicle & stored away without taking up space. For extra stability, the ProStripe 200 has the largest front swivel wheel in the industry and an improved anti-vibration system, ensuring perfect straight line no matter the surface. Prostripe 200 Standard hydraulic Line Striper is a new edition to the range. 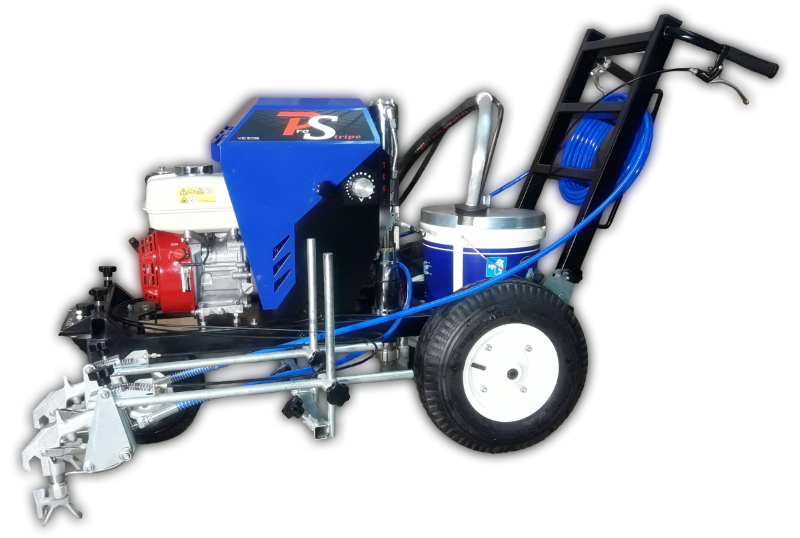 Equipped with VEZOS slow stroke hydraulic pump, this Basic edition is appropriate for road marking, with 1 or 2 guns.Foldable chassis for easy transportation & storage. 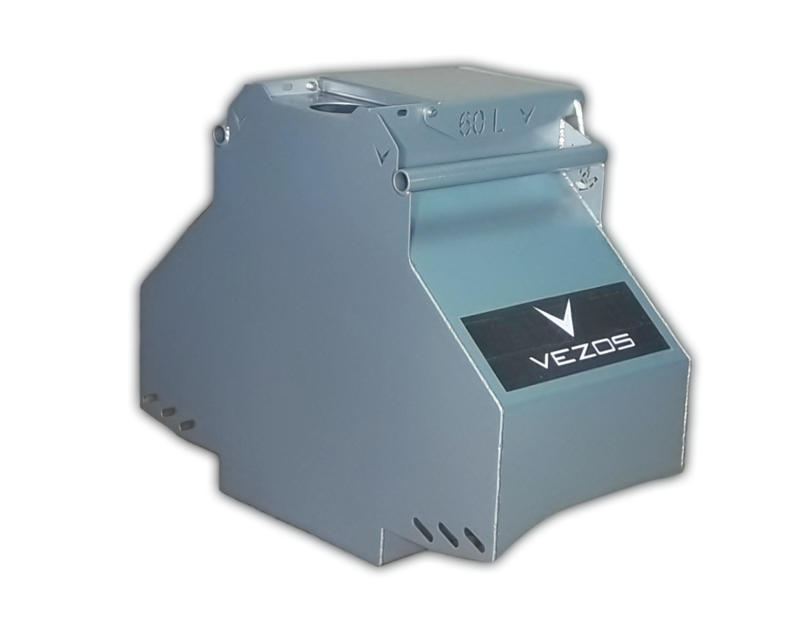 Add VEZOS 68 lit paint hopper. Add VEZOS vibrated assisted bead hopper 21 lit.